This is the sixth well dedicated to Beuno that we have met with on this journey. Doubtless there will be more; though with the exception of the magnificent Ffynnon Beuno at Clynnog Fawr, we sadly report that the remnants of his wells range from the barely there to the completely lost. Unfortunately the well at Aberffraw falls into the “completely lost” category. This didn’t come as any surprise, we knew before our visit that the well had been buried beneath the realignment of the A4080 where it crosses the river by the new bridge bypassing the village to the east, and as a result I can only apologise for the pictures – think this post more than deserves its place in any competition run for the most boring blog photographs of the century. Although Beuno’s main centre of activity in his later years was on the mainland at Clynnog, some 13 miles to the south as the curlew flies, there are dedications to Beuno on the west coast of Anglesey The story is that he used to cross the sea from Clynnog to preach at Llanddwyn. He has closer links to Aberffraw and both church and well here are dedicated to him. 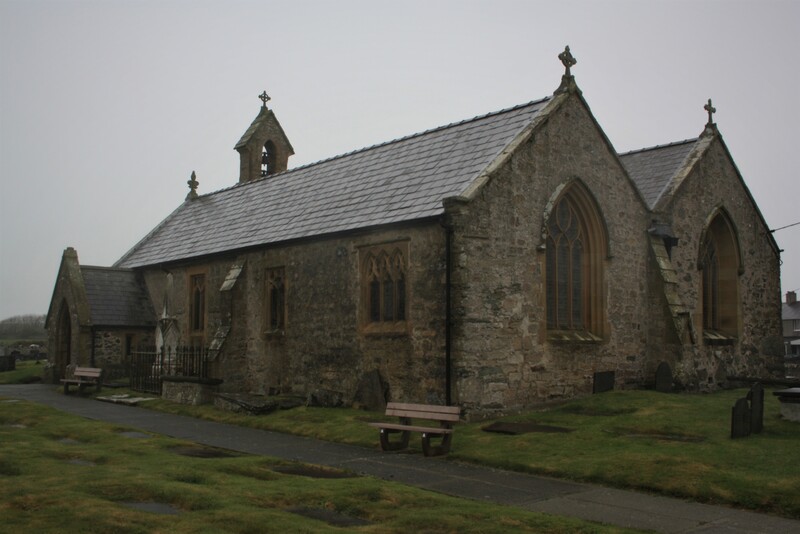 A chapel at Llanidan was dedicated to Beuno, where until at least sometime in the eighteenth century a copper small hand bell, known as Cloch Felen Beuno, could be seen. In the early Middle Ages, between the late ninth and the late twelfth centuries Aberffraw was the capital of Gwynedd and remained one of the region’s most important political centres into the 14th century when it was dismantled by Edward I. Even before this it was probably an important local seat of power. It would have been eager to claim links with one of the primary local saints. We left Beuno’s as he restored life to Tegiwg near Clynnog when she was being taken to Aberffraw and versions of it continue bringing Beuno himself to Aberffraw. Iddon, Tegiwg’s brother came to take his sister home, but she refused, preferring to stay with Beuno at Clynnog. 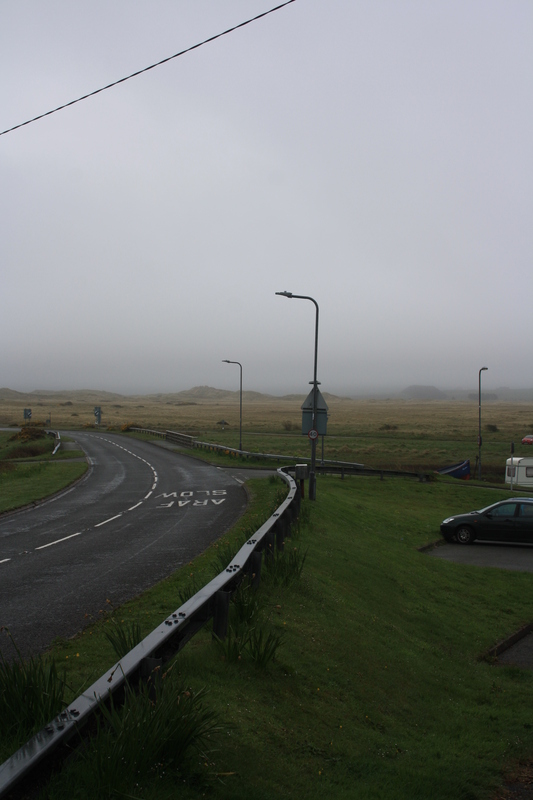 Iddon and Beuno then travelled onto Aberffraw to retrieve the horses and treasure the carpenter had taken with him. When they arrived Iddon saw the man and immediately cut off his head. The King there was about to arrest Iddon until Beuno calmed the situation by restoring this man’s life too. The King gave Beuno land locally, a place called Aelwyd Feuno, Beuno’s Hearth, and he and Iddon were free to depart. There are no accounts that I have been able to find of any use being made of this well for healing or indeed of any traditions associated with the well. It is named on OS maps in the early twentieth century, but by this time it would have already been converted to a pump which formed a part of the village’s primary water supply along with another village well, until mains water arrived in the 1940s. The well house and pump stood on Malt House Lane, later renamed Bragdy, until the early 1990s at which time it was demolished for the road scheme. The iron pump was taken to the museum at Llangefni, though I have no knowledge of whether it is either displayed or preserved there today. There is a local story that the building over the well was constructed early in the twentieth century following the drowning of a local girl at the site. The brick built well house measured about 2.4m by 1.6m and stood on a concrete base covering a much larger area, we would assume that any remains of an earlier structure would have been effectively destroyed during the building of this structure. 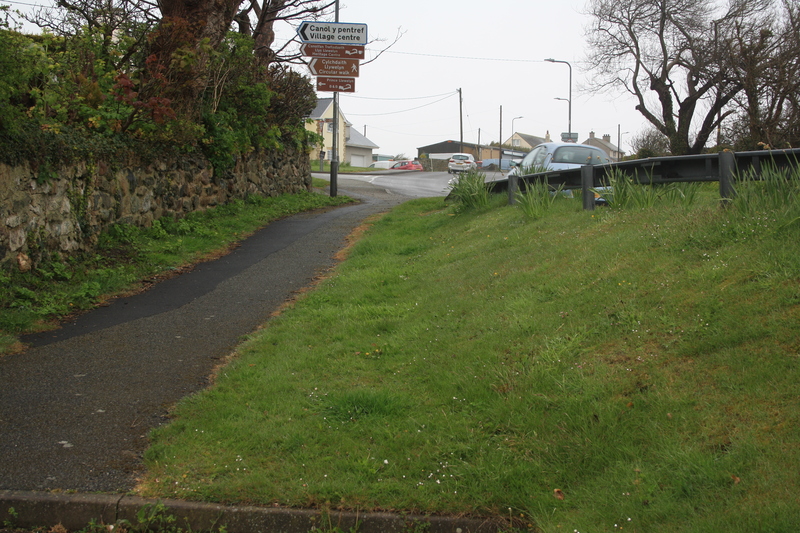 An excavation prior to the road construction carried out by Gwynedd Archaeological Trust found evidence of several nineteenth and twentieth century road surfaces around the site, but no evidence of earlier structures or well usage. So the picture below shows more or less exactly where the well once stood. St Beuno’s wells have a poor track record for preservation, with the obvious notable exception. Given his prominence, and the wide distribution of his dedications it is sad that more have not survived in better condition. In this case, as in several other wells we have come across, modern roads can prove to be a more important consideration. Hi, I’m interested in visiting wells around Wales and I was wondering if you could recommend any books on the topic or locations of them? Thanks. Hi – the definitive book is always said to be Francis Jones book The Holy Wells of Wales, this is a study of the use of wells over time and the customs practiced. It also includes a fairly comprehensive inventory of wells. The two problems with it are that it is quite dated now (written 1954), some of his ideas are out of line with current thinking, and his inventory does not generally give detailed locations for wells and does not generally distinguish between those that are lost and those that remain. One book specifically on Welsh wells that gives a more relevant description of Welsh wells and how to find them is Sacred Welsh Waters by Chris Thomas. Most useful, if you can read Welsh, is Eirlys Gruffydd’s Ffynhonnau Cymru – there are two volumes covering North and Mid Wales. A more general book on British Wells, which includes the main Welsh wells is Janet Bord’s Holy Wells in Britain.